Course Website: Official Website - Visit BanBury Golf Course's official website by clicking on the link provided. Accolades: Ranked 25th in Idaho on Golf Course Gurus' Best in State list. 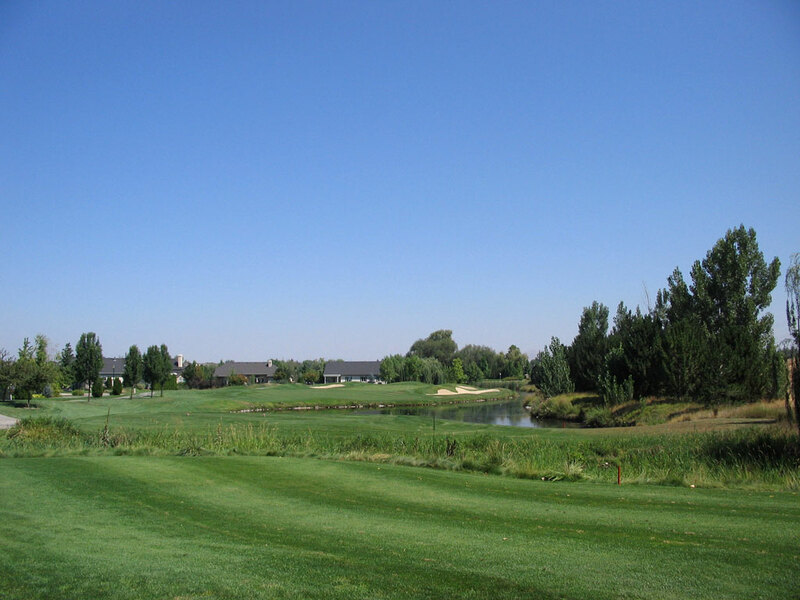 What to Expect: Banbury quickly became the darling of public access golf in western Idaho as the Boise valley grew and golf gain in popularity. Located in the upscale suburb of Eagle, Banbury is a residential development course that features flat terrain and several water hazards. Banbury opened up three years after another acclaimed Harbottle design in nearby Nampa; Ridgecrest. The two courses quickly combined to bring Idaho's capital quality public golf that the area desperately needed. Banbury's early reputation was stellar due to the prestigious community it winded through, the frequent water hazards, and the greens that were rolled three times a week and provided the best putting surfaces around. Conditioning in recent years has slipped as has the love affair with Banbury as evidenced by the course falling from the #2 spot it once claimed all the way out of Golf Digest's Top 10 rankings for Idaho. The oft-played Banbury course is still a top three public facility in the Boise valley and well worth playing if in the area, but with the fantastic additions (public and private) to Idaho's golf portfolio over the past ten years, Banbury can no longer claim status as one of the Gem State's elite tracks.